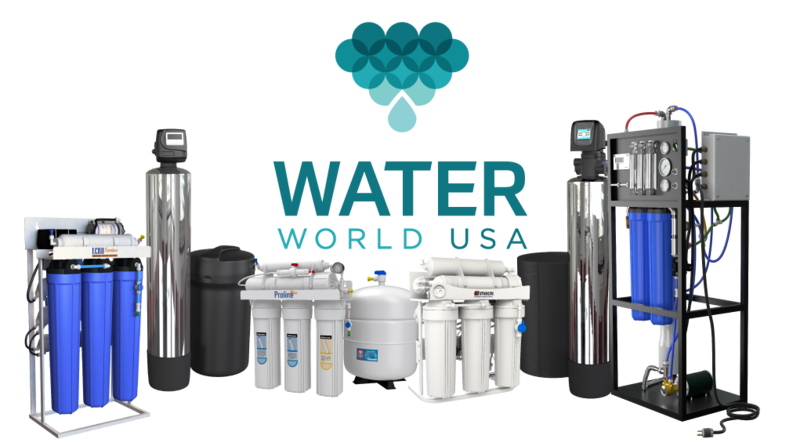 Waterworld USA manufactures a wide variety of water treatment systems including reverse osmosis, water conditioning, softeners, and scale prevention systems. 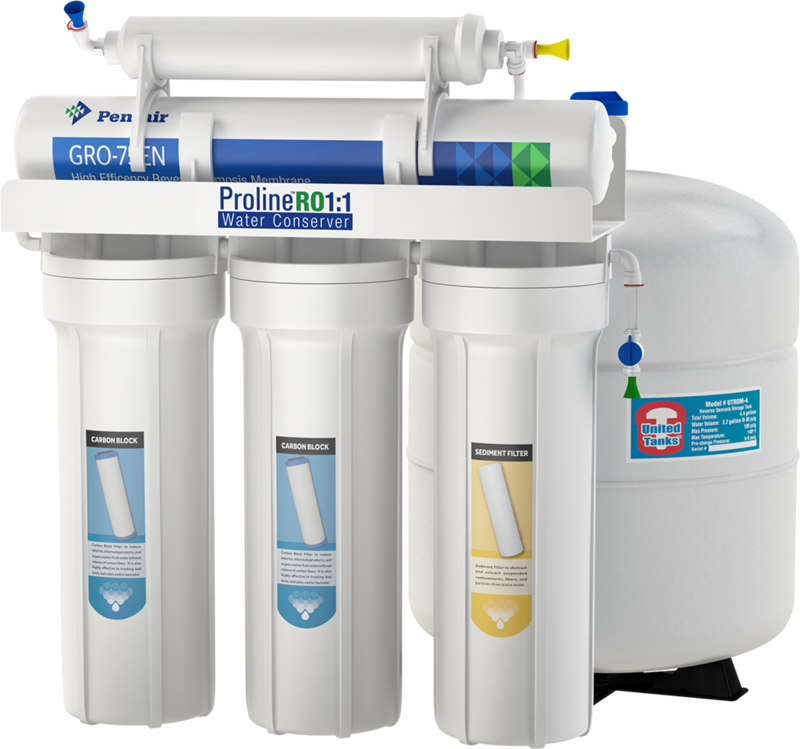 We offer products to take care of your water needs no matter how large or small and that fit within your budget. 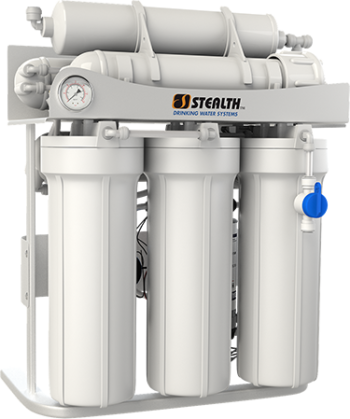 With our purification technology and breakthrough engineering, we have the finest level of filtration available. 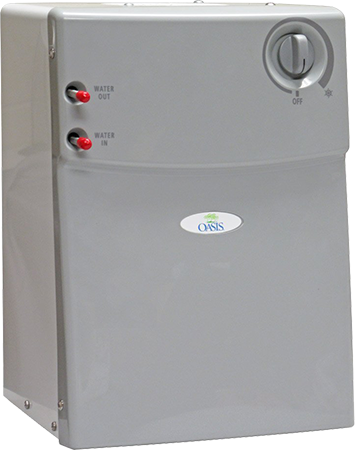 All systems have gone through rigorous testing, validation, and certifications that are well recognized by world wide agencies including WQA. 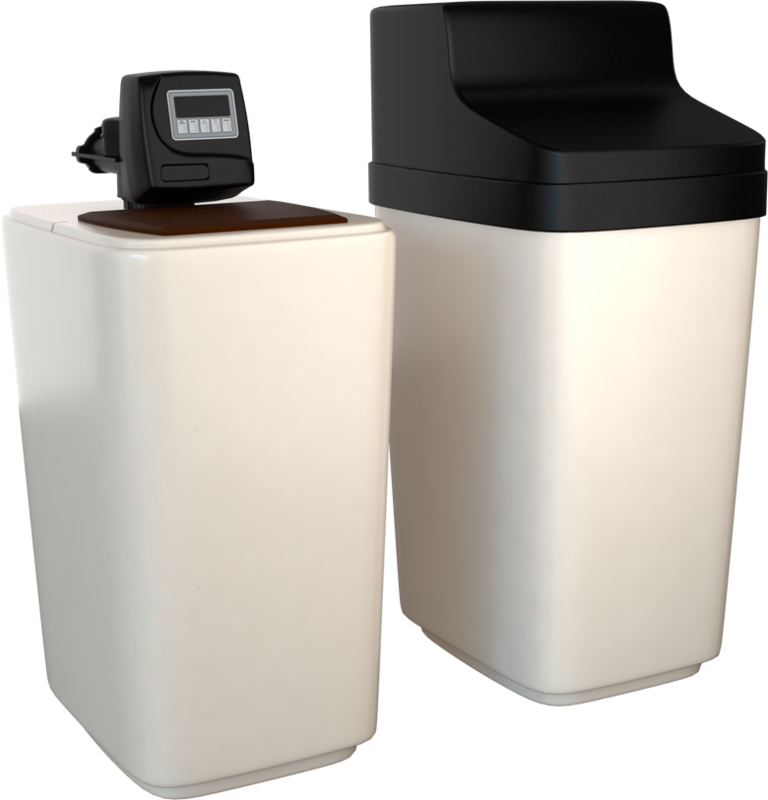 An easy and convenient way for filtering your water. 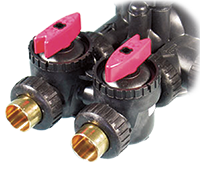 Available in single, double or triple housings. 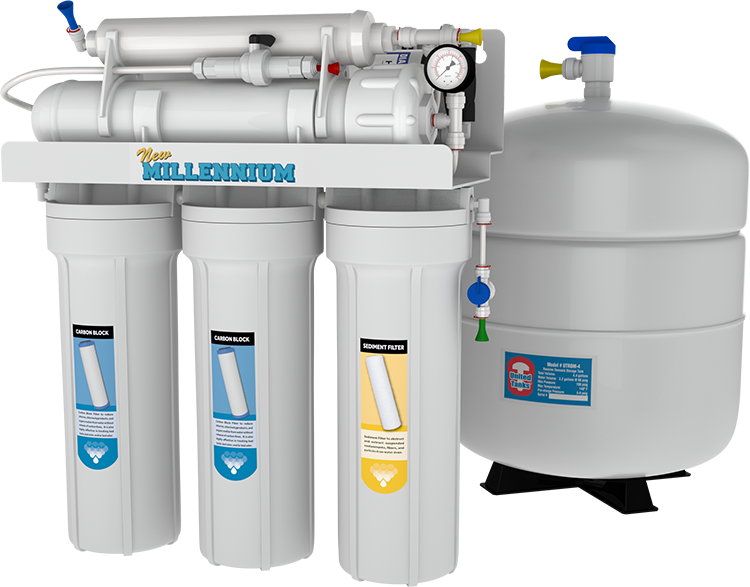 Refer to the filter selection guide below for a variety of filters for your specific application. Ultraviolet or "UV" is a type of energy found in the electromagnetic spectrum lying between x-rays and visible light. Ultraviolet light offers disinfection through the 265 nm wavelength of UV (or germicidal UV). The UV energy attacks the genetic core of the harmful microorganism and rearranges the DNA preventing reproduction. If the microbe cannot replicate, it cannot infect! 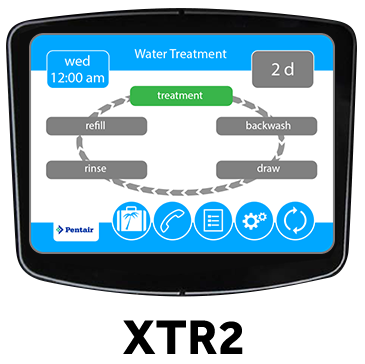 UV is quick and the most cost effective way to disinfect your water. UV light, 30,000 Microwatt/Second at 1.0 GPM. 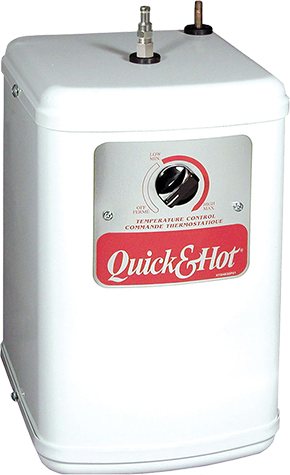 This replaceable UV lamp is protected by glass quarts sleeve and Stainless Steel channel for optimum performance. 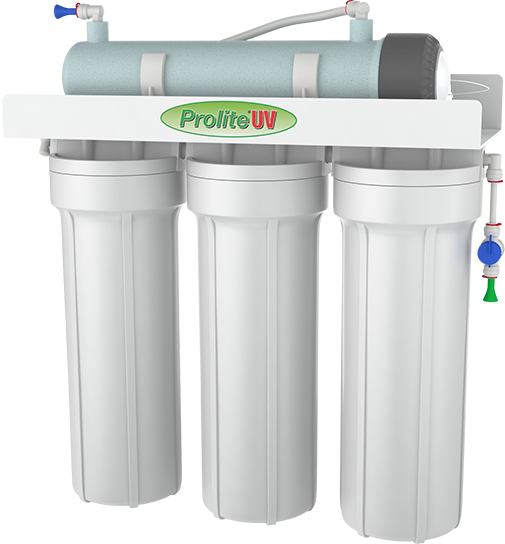 Prolite® UV systems are complete with feed valve, 44V ballast, tubing, and attractive long - reach faucet, compete system ready to install. 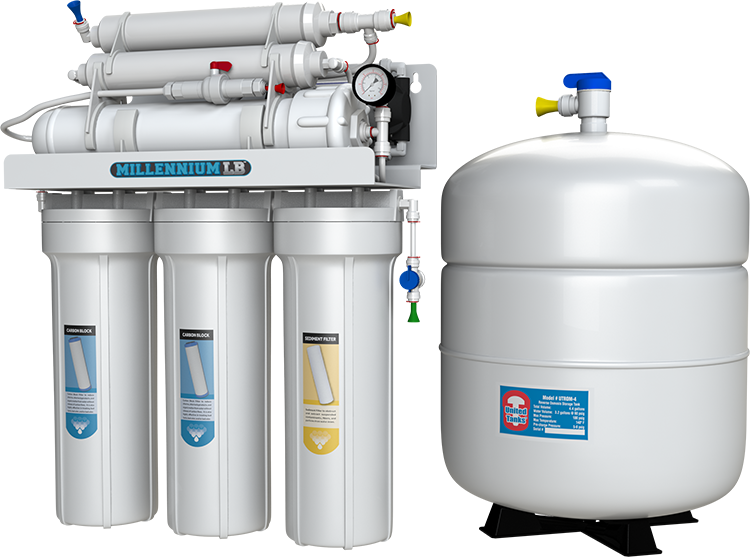 UV light is environmentally safe and is superior to other methods such as chlorination and ozonation. 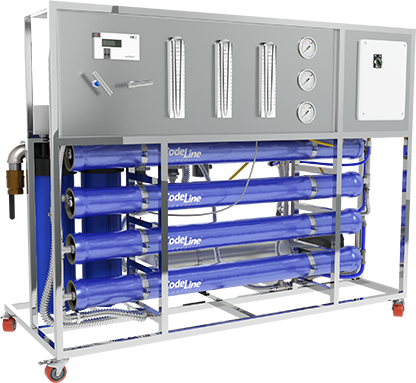 Long Life 9000 hours UV disinfection against microorganisms including bacteria and viruses. Light indicator for visual inspection of UV operation. Model Description Number of Stages Flow Rate GPM System Dimensions WX-DX-HX Shipping Weight LBS. 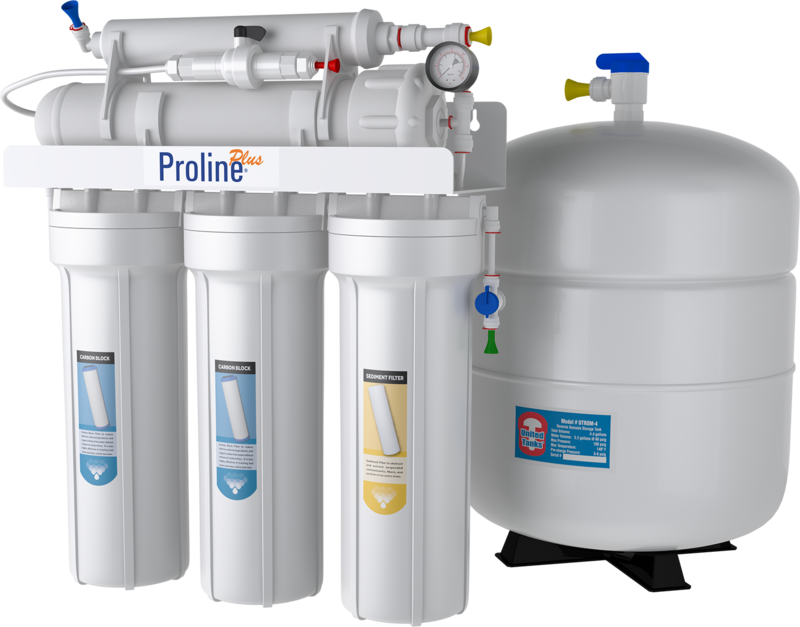 Proline Plus RO – Purification technology and breakthrough engineering providing the finest level of filtration available. *At 75º F, and 300 PPM TDS Feed, based on 24 hours continuous operation. Results may vary. 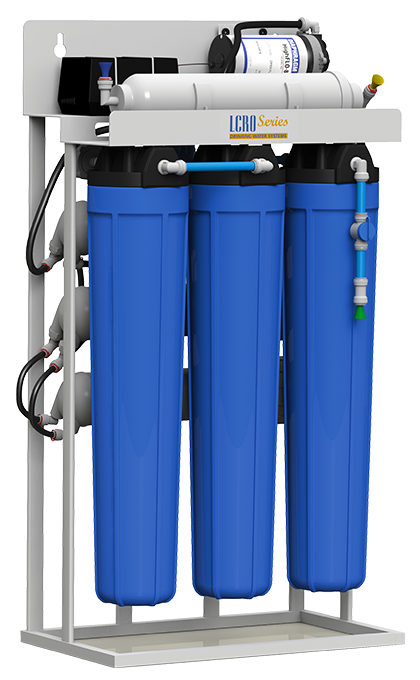 *DO NOT USE THIS FILTER ON WATER THAT IS MICROBIOLOGICALLY UNSAFE OR OF AN UNKNOWN SOURCE WITHOUT ADEQUATE DISINFECTION BEFORE AND/OR AFTER THE SYSTEM. 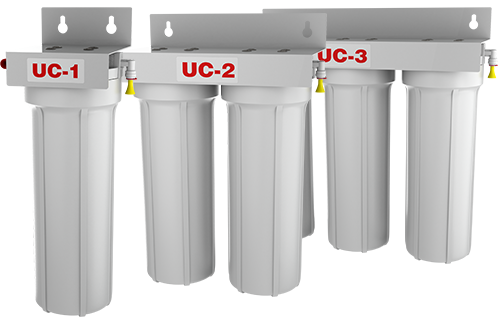 System Dimensions (WXDXH) 14"X6.5"X16" 14"X5.5"X17" 16"X5.5"X17"
Tank Dimensions DXH 11.5"X16" 11.5"X16" 11.5"X16"
Shipping Dimensions 20"X19"x19" 20"X19"x19" 21"X19"x19"
Millennium Lead-Buster RO System is specially designed to reduce Lead, Fluoride, Organics, and Heavy Metals better than other RO systems. System Dimensions WX-DX-HX 14" X 6.5" X 16" 14" X 5.5" X 17" 16" X 5.5" X 17"
Tank Dimensions DXH 10" X 15.5" 10" X 15.5" 10" X 15.5"
Shipping Weight 25 LBS. 26 LBS. 30 LBS. MEMBRANE SIZE 4"x21" 4"x40" 4"x40" 4"x40" 4"x40" 4"x40"
Stainless Steel Frame for lasting life. 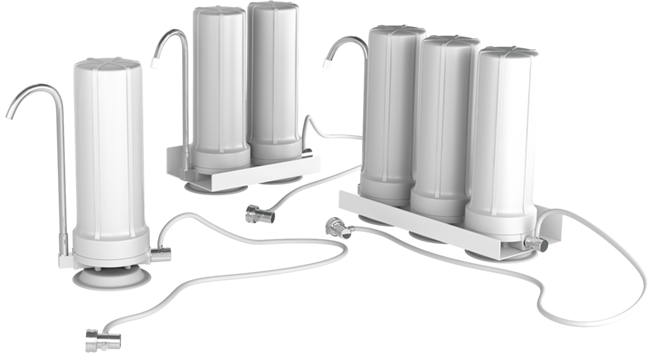 Four lockable wheels to move easily for maintenance. Time Delay Relay (TDR) for smoother start-up. 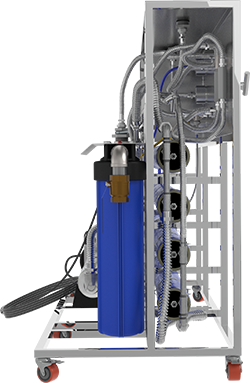 Prolonging the life of the motor, pump, membrane, controls, and connectors. 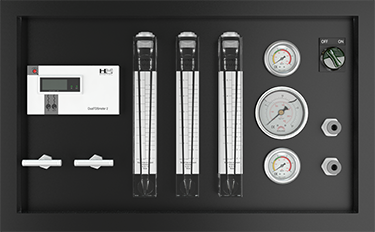 State-of-the-art control panel with liquid filled pressure gauges, panel mount flow meters, and system controls. 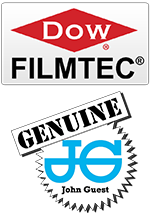 High rejection, low energy Filmtec TFC membrane. 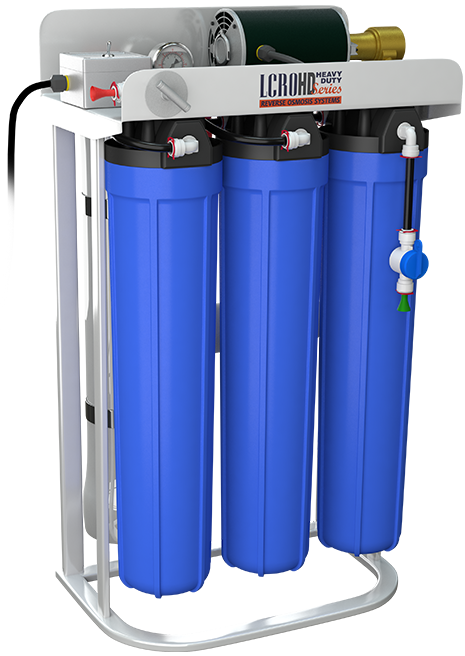 1½” Big Blue Double Pre-filter to protect Pump, Membrane, Solenoid, and Switches. 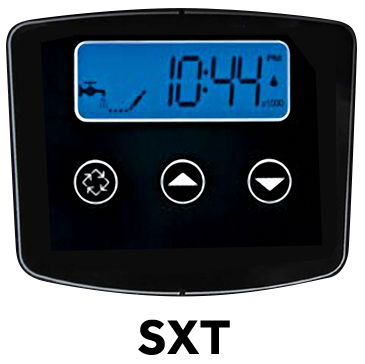 Dual TDS Monitor for accurate feed and product TDS readings. 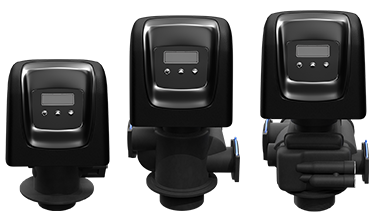 Panel mounted flow meter to accurately monitor permeate (product). 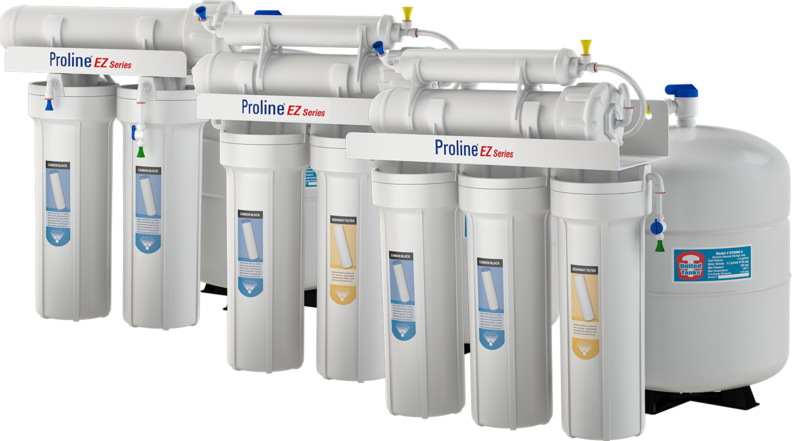 Panel mounted flow meter to accurately monitor brine (reject). 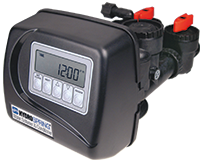 Panel mounted flow meter to accurately monitor recirculation. Simple Mechanical Step by Step User Friendly Controls. 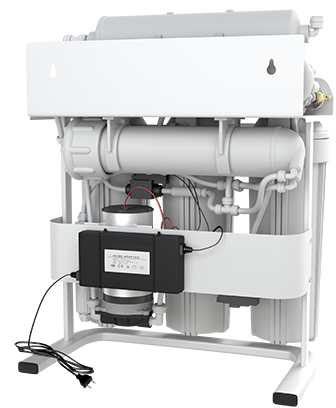 Bypass Size ¾" 1" 1"
Media Tank Size DXH 9" x 48" 10" x 54" 12" x 52"
Shipping Weight System 98 LBS. 125 LBS. 150 LBS. Shipping Weight Brine Tank 16 LBS. 17 LBS. 18 LBS. 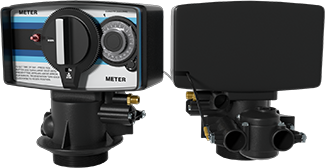 * Pressure drop at flow rates listed is less than 15 PSI . 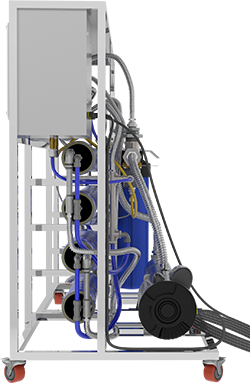 Bypass Size 1" 1" 1¼"
Compact cabinet design housing media vessel, valve and brine tank all in one. Bypass Size 1" 1¼" 1½"
– As hardness increases, more media is required to achieve results. SYS-BW0844-5600BW24 0.75 8 X 44 FLK-5600BW24 ¾" 12" X 14" X 52"
SYS-BW0948-5600BW24 1.0 9 X 48 FLK-5600BW24 ¾" 12" X 14" X 56"
SYS-BW1054-5600BW24 1.5 10 X 54 FLK-5600BW24 1" 12" X 14" X 62"
SYS-BW1252-2510BW24 2.0 12 X 52 FLK-2510BW24 1" 14" X 16" X 61"
SYS-BW1354-2510BW24 2.5 13 X 54 FLK-2510BW24 1" 15" X 16" X 63"
SYS-BW1465-7000BW24 3.5 14 X 65 FLK-7000BW24 1.25 16" X 18" X 74"
SYS-BW1665-7000BW24 4.5 16 X 65 FLK-7000BW24 1.25" 18" X 20" X 74"
* Models above are without media - media sold separately. Please specify DLFC upon ordering. 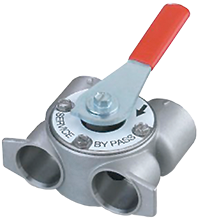 Refer to BW flow rate guide on page 206.
ⱡ Other valve options are also available upon request – see control valve section 18. 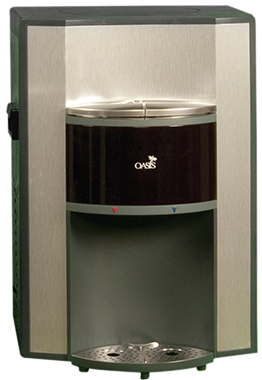 SYS-WELL0844-5600FA24 0.75 8 X 44 FLK-5600FA24 ¾" 12" X 14" X 52" 12" X 17"
SYS-WELL0948-5600FA24 1.0 9 X 48 FLK-5600FA24 ¾" 12" X 14" X 56" 12" X 17"
SYS-WELL1054-5600FA24 1.5 10 X 54 FLK-5600FA24 1" 12" X 14" X 62" 12" X 17"
SYS-WELL1252-2510FA24 2.0 12 X 52 FLK-2510FA24 1" 14" X 16" X 61" 12" X 17"
SYS-WELL1354-2510FA24 2.5 13 X 54 FLK-2510FA24 1" 15" X 16" X 63" 12" X 17"
SYS-WELL1465-7000FA24 3.5 14 X 65 FLK-7000FA24 1.25 16" X 18" X 74" 12" X 17"
SYS-WELL1665-7000FA24 4.5 16 X 65 FLK-7000FA24 1.25" 18" X 20" X 74" 12" X 17"
SYS-WELL0948-2510AIO 1 9 X 48 4 GPM 12 GPM ¾" 12" X 14" X 56"
SYS-WELL1054-2510AIO 1.5 10 X 54 6 GPM 15 GPM 1" 12" X 14" X 62"
SYS-WELL1252-2510AIO 2 12 X 52 8 GPM 21 GPM 1" 12" X 16" X 61"
W-12" X D-14" X H-17⅞"
CCH-HOT1300 Insta Hot Water Tank 100 Cups/Hr 8.1" X 6.8" X 11.2"